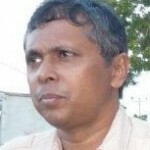 Spokesperson of the Federation of University Teachers’ Association (FUTA) Dr. Nirmal Ranjith Dewasiri was attacked by a group of participants at the May day rally organised by SLFP snubs. Dr. Nirmal had gone to see the rally organised by Wimal Weerawansa, Udaya Gammanpila, Dinesh Gunawardena and Vasudeva Nanayakkara. The attackers criticised Dr. Nirmal for supporting Maithripala Sirisena and working against Rajapaksas in the January presidential elections, an eyewitness told Colombo Telegraph. Police Media Spokesperson confirmed that he was attacked near attending Kirulopne May Day rally. 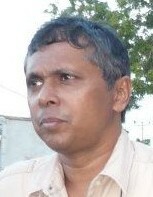 The police rescued Dr. Dewasiri from being assaulted and he was admitted to the Colombo National Hospital. Plight Of The Poorest Of The Poor; Is It Getting Better Or Worse?